Barely a week after the world crowned a new world junior champion, Pakistan mourns the loss of one of theirs. Sohail Qaiser (سہیل قیصر), born in 1965 and a native of Lahore, passed away on 14 August 2016 after losing his battle against cancer. 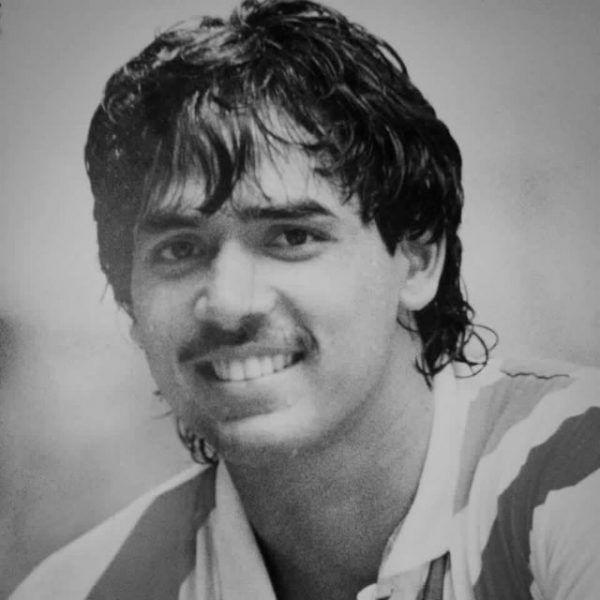 Qaiser became the third world junior champion and the first from Pakistan in 1982 when he defeated former world number 1 Chris Dittmar of Australia in Kuala Lumpur, Malaysia. Later in the year, he would also win the British under-23 Open in Wembley. One of his other highlight of his career was winning the Men’s World Team Squash Championships in Cairo alongside the legendary Jahangir Khan and Umar Hayat Khan. It was Pakistan’s fourth title after winning in 1977, 1981 and 1983. It was also extra sweet for Qaiser who played hero when he clinched the winning point, beating Paul Viggers 3-0 after the main score was tied at 1-all. “Champions never die. He will be missed and will always be in our prayers”, added the 36 year old from Peshawar. 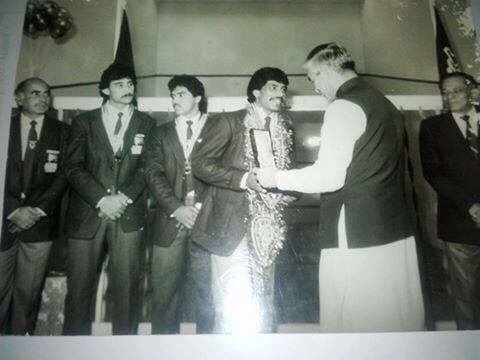 The only other Pakistani to have won the world junior title is Jansher Khan in 1986. Great person with great personallty my personal Roll model . being his training partner for some time made me real proud and improved my squash which lead me into top 4 under 19 junior in a short period of time. God bless his soul he proved to get free from this world on independents day everyone will remember him in there duaas hope he’s in a better place Allah makes it easy for him and rest of the chosen soul’s! Very handsome guy, seen him playing Singapore open those days. Very polite and well respected man. May your soul rest in peace. And an Absolute Gentleman. RIP Champ. Too Young. I saw him wining the Junior Title of the World Junior Squash Championship 1983 in Singapore. I was the liaisons official of Pakistan. Watching him trained every morning while they were in Singapore. He was a very talented and stylish players of Pakistan Team. Condolences to his entire family in particular his uncle Gogi Allaudin who was a genius on the court . Thanks for he comment Chris. Understand from Steve Walton you’re on Olympics duty. Can I add this as a quote into the article itself?